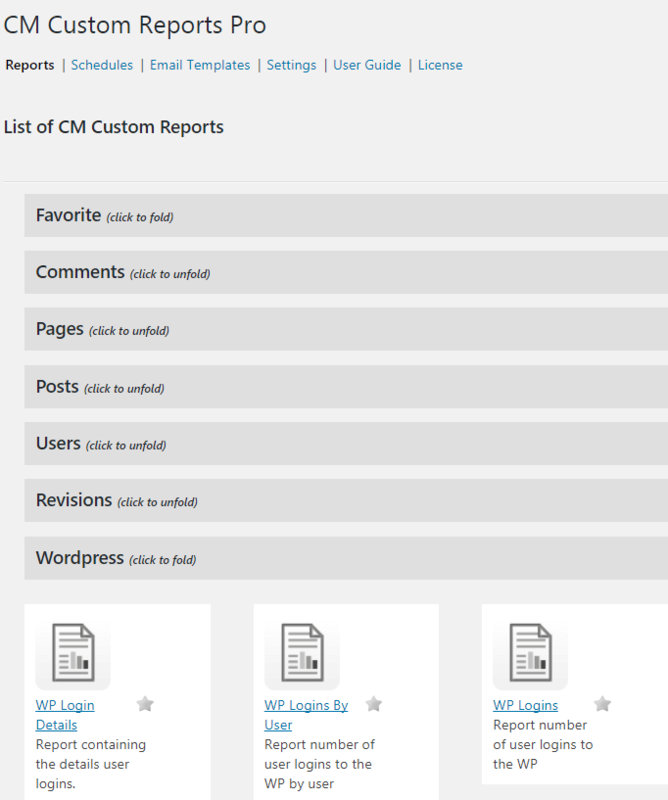 The CM Custom Reports WordPress plugin creates and auto-generates reports from user activity on your site. This WordPress report builder creates multiple type of reports that letting you quickly export and share important user data. 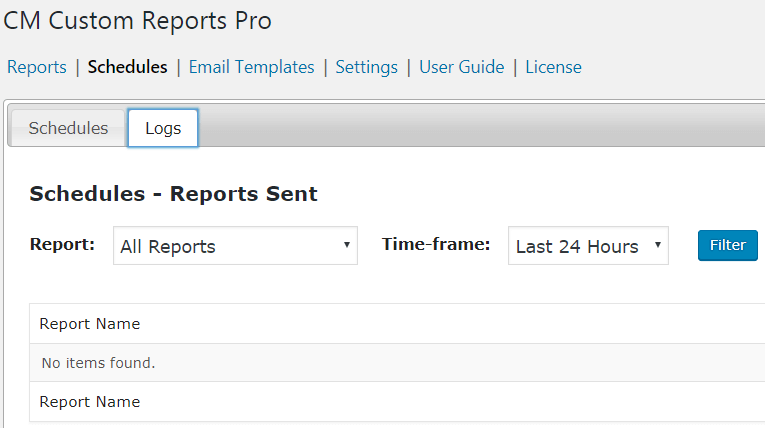 The WordPress Exports and Reports plugin generates custom usage reports for your WordPress site. With over 20 statistical reports and graphs, you can quickly and easily track, analyze, and share a wide range of important user behavior and data. 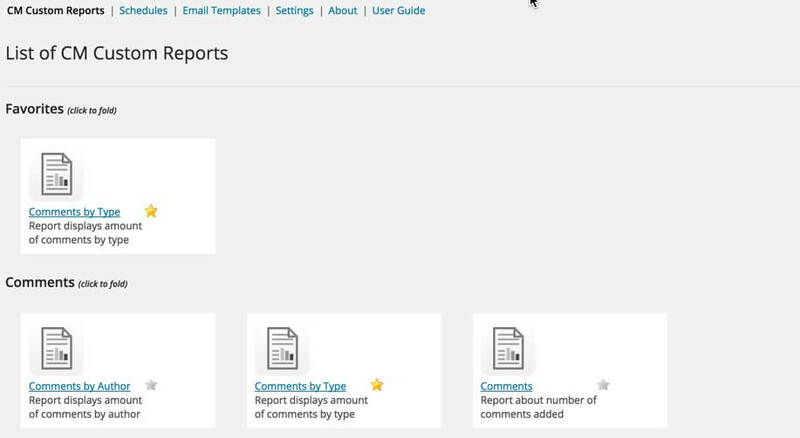 Using a WordPress reporting tools plugin makes it easy to report user behavior by sending regularly scheduled reports to a defined email list. Simply export reports to PDF or CSV files to share the performance and usage of your site with your staff, investors, or clients. Choose which field to display on four different graph display types (pie, line, point, bar). 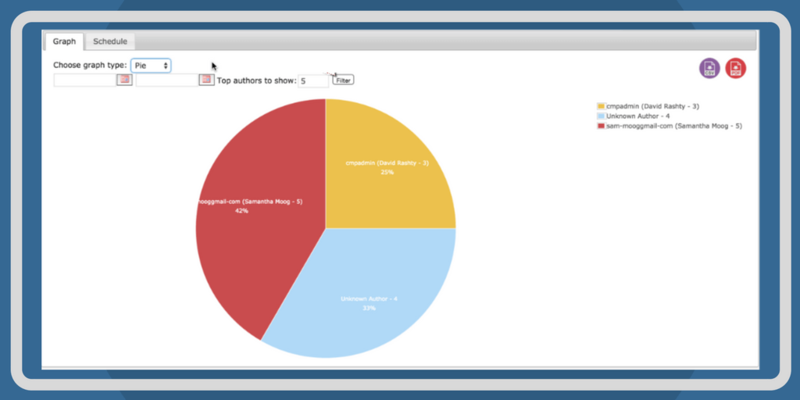 You can also customize graph, chart, and report labels to create just the data visualizations you need. The WordPress user reports plugin gives you a simple setup and an easy-to-use interface to start generating reports from data pulled directly from the WordPress database. 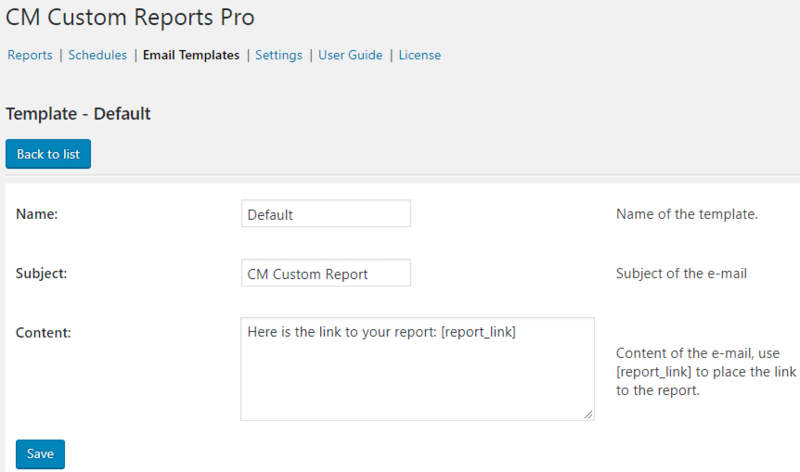 The WordPress report builder plugin allows WordPress site admins to create report templates and schedule reports to be sent to a set user list. These custom reports can be emailed directly to a list of users, or exported as a CSV or PDF. 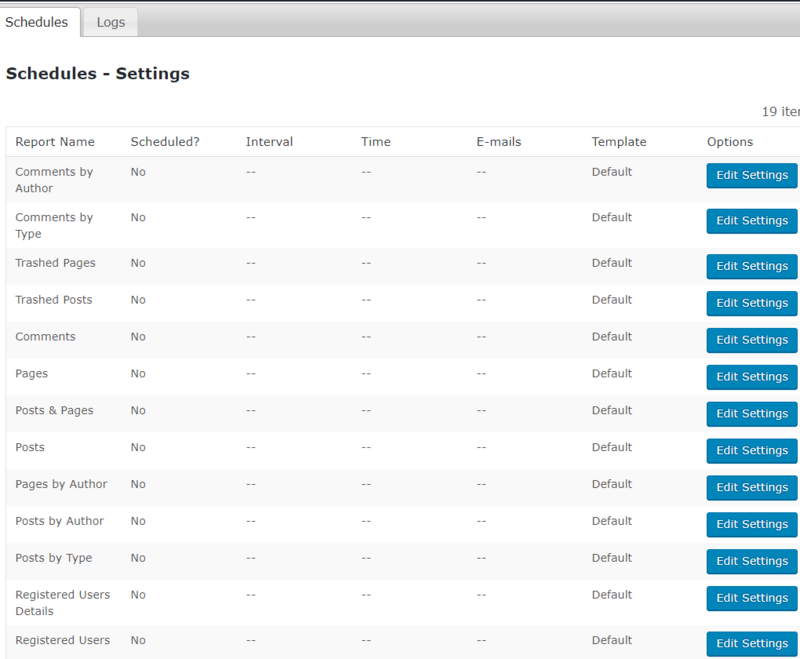 Dashboard Showing Scheduled Reports and Due Date. 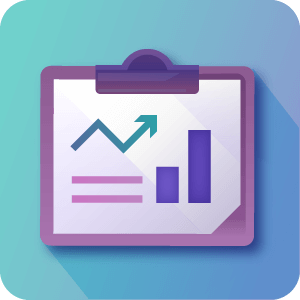 Through these data mining activity reports, you can get essential statistics and track user behavior which can be analyzed to help you make better decisions in your site management. 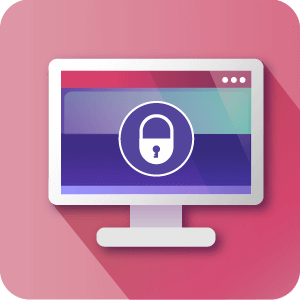 Download Manager – Statistics of usage from Download Manager users. Learn More. The number of reports you create is unlimited. The plugin comes with 17 basic reports, but based on them and using the parameters that come with each, you can create many reports. There is no limit to the number of reports you can generate. Can I email the reports to more than one user? Can I customize the reporting templates? Yes. 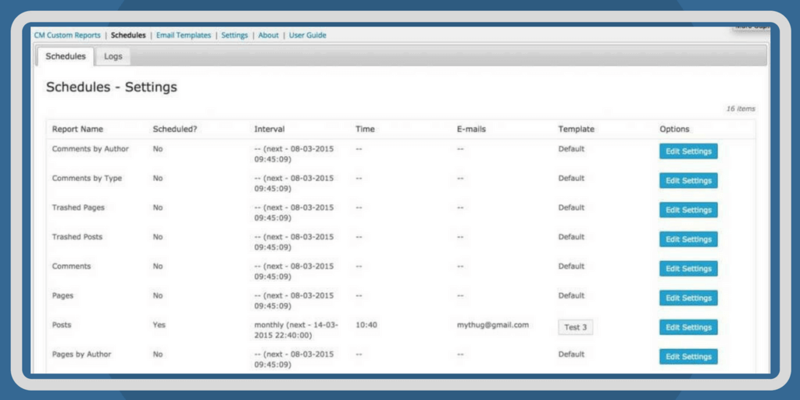 The reporting template can be customized and you may add your own content to it. How often does the plugin generate reports? That’s up to you to decide. 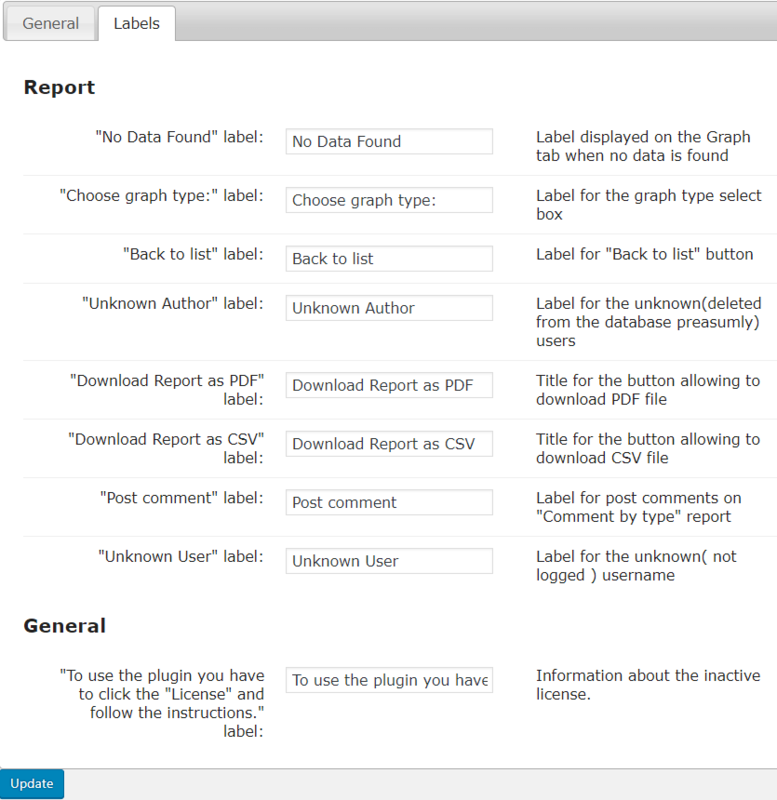 Once installed and activated, the plugin will start gathering info for the custom reports that you define. 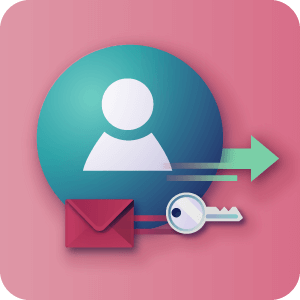 You can schedule reports to be sent to your email daily, weekly, monthly or annually. You can also generate reports manually whenever you need them, and export them to CSV so you can play with the data. Can I add as many custom WordPress reports as I like? No. The free edition lets you generate up to five custom WordPress reports, and the pro edition lets you generate up to 17 different reports. Each report will measure a different set of elements that you define, such as user comments, page development, user activity, site revisions and more. Do you offer customization service to build reports which are currently not offered? My issue was completely resolved with the next upgrade. The CM Reports Pro plugin is now working perfectly with my Ultimate Member login configuration. Thanks! I’ve never seen any other plugin like this one. Although the information it provides is generally available on WordPress, it gives a nice order to everything and arranges the data in a way that lets you track how efficient you and your team are are at work. 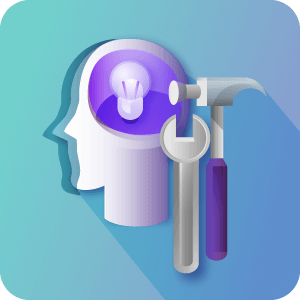 This is particularly useful for those working with remote employees for tracking their steps with things like how many revisions they made and how long it tool them to work on each post etc. 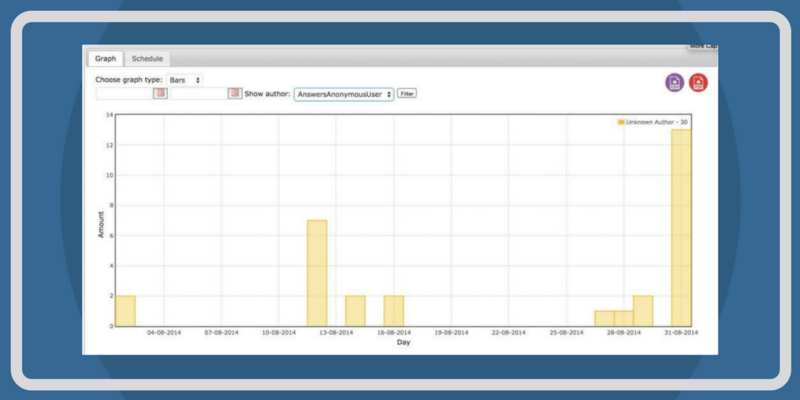 Simple and user-friendly plugin to add analytics layer to WordPress. Simple to use. That’s what I’m looking for.